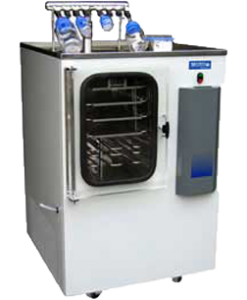 Looking for the perfect freeze dryer for your small scale production needs? We have listened to all of your requests. Introducing, THE STELLAR SERIES. 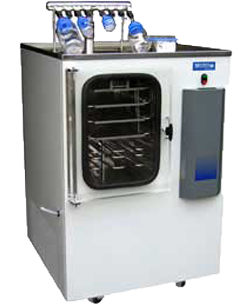 The STELLAR combines many of the features of larger systems, such as the OptiDry PC/PLC freeze drying control system, into a small console. This tray freeze dryer combines top of the line components and design techniques in addition to options such as: a manifold, capacitance manometer, hydraulic stoppering, etc… THE STELLAR SERIES freeze dryer is sure to fit your needs. The Stellar Series provides more performance and capacity than any other unit in its class.